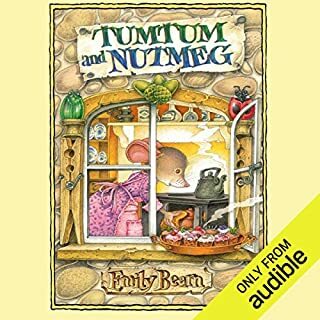 Tumtum and Nutmeg is the first of a series of children's books by author Emily Bearn. The book is about Mr and Mrs Nutmouse who live in Nutmouse Hall, situated within the broom cupboard of Rose Cottage. 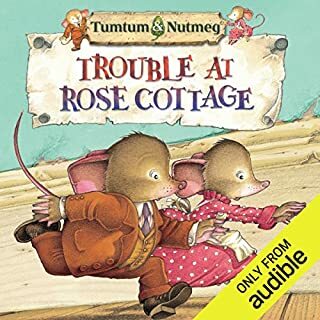 Tumtum and Nutmeg have a wonderful life but the children who live in Rose Cottage, Arthur and Lucy, are miserable. So, one day Tumtum and Nutmeg decide to cheer them up. Go crayfishing in the summer at Nocken, “dipping in the pot” at Christmastime with Lisa and Karl, and join Britta and Anna who know the best way to go about “nutting” for the New Year. 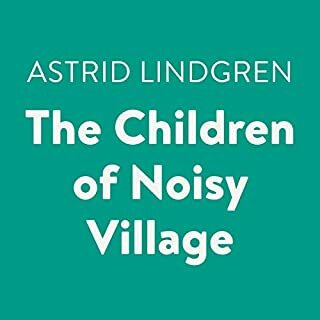 In this gently humorous tale, master storyteller Astrid Lindgren takes us through a year in the lives and customs of six Swedish children living on a group of three farms in the countryside. Hidden in the broom cupboard of Rose Cottage is the most delightful little house. Shh, it’s a secret. No one knows it’s there... This is the home of Tumtum and Nutmeg... 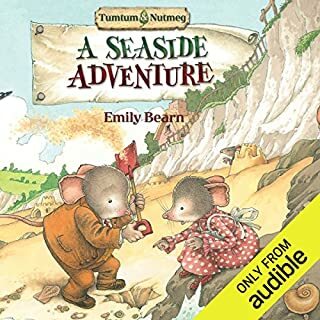 When Arthur and Lucy are sent to stay with their Uncle Jeremy at the seaside, Tumtum and Nutmeg decide to go along and keep an eye on them. But then the mice stumble upon an abandoned doll’s house and a mysterious treasure map - and all sorts of adventures unfold! 'Dear Father Christmas, I'm very sorry that you couldn't come last year because the chimney was bricked up. We asked Pa to unblock it, so you could get down this time, but he said he couldn't because the wind would come in and we'd all be very cold.' 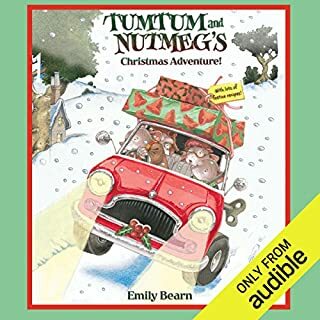 Christmas is nearing, and for two little mice called Tumtum and Nutmeg it is a very busy time of year. There are cakes to bake and hams to glaze and ants to sugar. Here is the timeless story of Mary Poppins, the world's favorite nanny, and her magical adventures with the Banks family. Mary Poppins is like no other nanny the Banks children have ever seen. It all starts when their new nanny is blown by the east wind onto the doorstep of the Banks house, carrying a parrot-headed umbrella and a magic carpetbag. She becomes a most unusual nanny to Jane, Michael, and the twins. Why Did I Wait So Long? The 1938 classic tells the story of Mr. Popper, the small-town housepainter who dreamed of exploring Antarctic regions, and Captain Cook, the redoubtable penguin who turned Mr. Popper's world upside down. Come with us to an Enchanted Place, a forest where Winnie-the-Pooh lived with Piglet, Rabbit, Owl, Eeyore, Kanga, and Little Roo. The stories are about Christopher Robin and these good companions having wonderful times getting in and out of trouble. It is all very exciting and, really, quite thrilling no matter how young or old you may be. It is painful to try and imagine what the world would be like without them. The Boy lives in a cottage with his mother and father, and the Dragon lives in a cave on the Downs. The Boy is his only friend. The Dragon is not at all the sort of Dragon one might expect to meet, however: he's polite and friendly. Frog and Toad, those famous pals, are beloved by generations of children. Their every adventure is filled with the magic of true friendship, whether they're telling ghost stories, searching for a lost button, or eating too many cookies. This captivating audio collection features all four of the Frog and Toad books, read with humor and charm by award-winning author Arnold Lobel. James Herriot's Treasury for Children collects all of the beloved veterinarian's delightful tales for young listeners. From the springtime frolic of "Oscar, Cat-About-Town" to the yuletide warmth of "The Christmas Day Kitten", these stories are perennial favorites, and this new complete edition will make a wonderful gift for all listeners, great and small. Hidden in the broom cupboard of Rose Cottage is the most delightful house. Shh, it's a secret. No one knows it's there... This is the home of Tumtum and Nutmeg. When General Marchmouse unexpectedly joins the Nutmouses on a camping trip things soon begin to go horribly wrong. Before they know it, the mice are whisked downstream on Arthur's toy boat Bluebottle...The magical third story in the Tumtum & Nutmeg series, from bestselling author Emily Bearn. The classic fantasy trilogy of Elmer Elevator and the flying baby dragon has delighted children and their parents for generations. Now, on the occasion of their 50th anniversary, Random House is proud to bring the three timeless tales together in one commemorative edition. Here is a timeless tale of waterside Britain that has been loved by generations of children and acclaimed as a classic. The story of Mole, Ratty, Badger, and Toad, and their escapades, whether messing about on the river or poop-pooping in Toad's shiny new car, cannot fail to enchant. My favorate read version of the willows! A century before Heather and Picket's adventures in The Green Ember, a displaced community fights for hope on the ragged edge of survival. Whitson Mariner and Fleck Blackstar face old fears and new enemies, forging a legend that will echo through the ages. It's The Borrowers meets The Wind in the Willows. Enter the world of Tumtum and Nutmeg for a wonderfully enchanting story full of warmth and humour. Tumtum and Nutmeg are enjoying a quiet life in Nutmouse Hall, when General Marchmouse comes to stay. The General has a new pogo stick and is looking for adventure. Recklessly, he bounces out of Nutmouse Hall and into Rose Cottage - the home of the Mildews. He takes Lucy's doll's house under siege with the help of some toy soldiers and takes a ride on Arthur's train set. 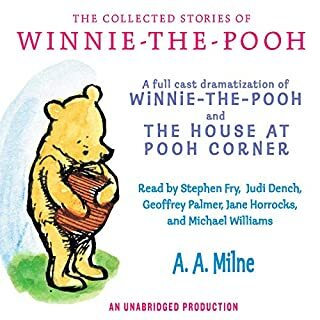 A wonderful adaption of Winnie the Pooh, featuring an all-star cast including Stephen Fry and Dame Judi Dench. Story 1: In which we are introduced. Story 2: In which Pooh goes visiting and gets into a tight place. Story 3: In which Pooh and Piglet go hunting and nearly catch a Woozle. Story 4: In which Eeyore loses a tail and Pooh finds one. Story 5: In which Piglet is entirely surrounded by water. Story 6: In which Christopher Robin gives a Pooh Party, and we say good-bye. "Bears like Paddington are very rare," says Mrs. Bird, "and a good thing too, or it would cost us a small fortune in marmalade." It's a good thing for lots of reasons that bears like Paddington are rare. Whether it is his attempts at home decorating, detective work, or photography, the bear from Darkest Peru causes his own special brand of chaos. What did you love best about More About Paddington? Can't beat a British accent! Narrator does each character uniquely, including a bit of dialect for Mrs. Bird. Would you listen to More About Paddington again? Why? Yes, my daughter loved the stories! What was one of the most memorable moments of More About Paddington? My daughter loved when Paddington tries to paint his own room. What about Stephen Fry’s performance did you like? He has a nice mellow voice. I love Paddington because he is always so curious and eager to do things. He has so many adventures! The book itself is amazing and a great narrator. I can't say enough good things about this audiobook. I liked "More about Paddington" better than "A Bear Called Paddington". I felt that this book was sweeter than the other one. I like how it ended at Christmas, after Paddington had sweetly given his family presents on HIS birthday. 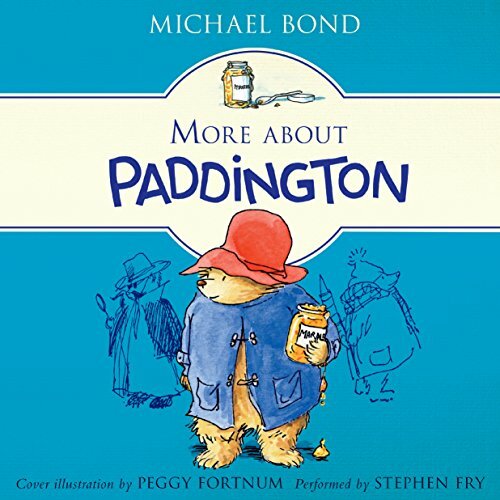 I love paddington, but this book is not as good as the first one.but it's great!